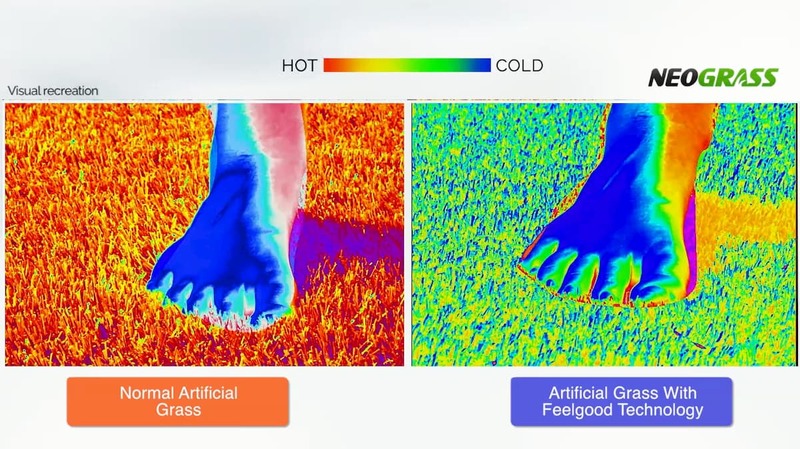 Backed by science, our Feelgood® Technology ensures your artificial grass feels as good as it looks. One of the downsides of artificial grass used to be that during hot summer days, when the sun is beating down on an artificial lawn, the plastic fibres could become hot to touch and uncomfortable to walk on. However, our revolutionary Feelgood® Technology ensures your lawn remains cooler by reflecting and dissipating the heat into the atmosphere; leaving your grass feeling as good as it looks. Choose an artificial grass with Feelgood® to ensure your lawn stays protected from the sun’s harmful rays.